Yesterday, the LA County District Attorney reported that a jury deliberated less than two ours before convicting Ka Pasasouk, 34 of gunning down four people just outside a Northridge, California boarding house two years ago. Deputy DA Daniel Akemon who prosecuted the case said the killing spree began as a robbery. Pasasouk was found guilty of gunning down Teofilo Navales, Robert Calabia, Amanda Ghossein and Jennifer Kim on Dec. 2, 2012. Jurors found the special circumstance of multiple murders to be true. Pasasouk also was convicted of one count of attempted murder, five counts of assault with a semiautomatic firearm and possession of a firearm by a felon. Exactly three years after the quadruple murders, jurors will return on December 2, to hear testimony in the penalty phase of the trial. Pasasouk is facing the death penalty. I attended Pasasouk's preliminary hearing at the San Fernando Courthouse in July 2013. It appeared that several of the witnesses were afraid to testify about what they heard and experienced. Joshua Woodward, at a previous court hearing. Woodward remains out on bond until his sentencing on January 29. His passport is surrendered. He will get one last Christmas and New Year's with his wife and new child. 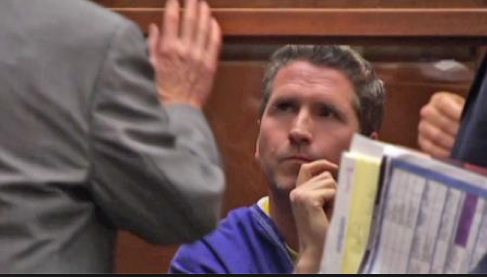 A former national restaurateur pleaded no contest today to attempted murder for trying to induce a miscarriage of his ex-girlfriend's fetus six years ago, the Los Angeles County District Attorney's Office announced. Joshua Woodward, 43, entered his plea before Los Angeles County Superior Court Judge Curtis Rappe to one count of attempted murder. He is scheduled to return to court Jan. 29 when he is expected to be sentenced to nine years in state prison. Deputy District Attorneys Habib A. Balian of the Major Crimes Division and Marguerite Rizzo, Deputy-in-Charge of the Forensic Science Section, prosecuted the case. Woodward, a Florida resident who once co-owned the former Table 8 restaurants in Los Angeles and South Beach, tried to induce the miscarriage on Oct. 18, 2009, by using misoprostol, a drug used in the medical community to induce labor and terminate early stage pregnancies. Evidence presented at a preliminary hearing showed that Woodward attempted to induce the miscarriage on three other occasions. Coverage of the Joshua Woodward preliminary hearing can be found HERE. 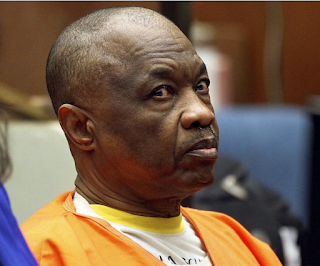 After five and a half days of excruciatingly detailed testimony from defense and prosecution DNA experts, the defense motion to present third party culpability evidence in the trial of Lonnie Franklin, Jr., aka “Grim Sleeper” has been denied. It cannot be presented in the guilt or penalty phase of the trial. The defense contended that DNA alleles belonging to another convicted serial killer, Chester Turner, as well as several other identified individuals, were found in either one of two complex DNA mixtures. 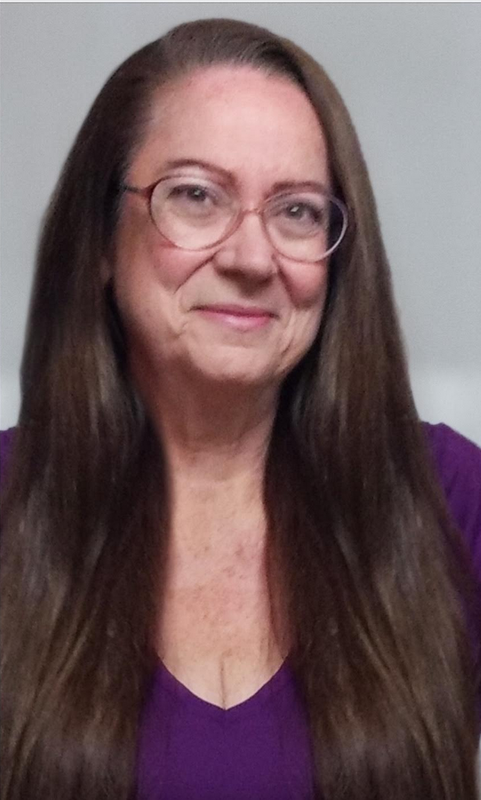 The prosecution argued that the analysis of DNA mixtures by defense expert Dr. Lawrence Sowers, did not meet the accepted scientific standards withing the forensic DNA analysis community. The next pretrial hearing is November 16, 2015. Jury selection is slated to start December 15, 2015. Voir dire is tentatively scheduled for January 4, 2016. I will have a more detailed synopsis of the hearing and who testified sometime in the near future. Previous post on this case can be found HERE. I’m on the 9th floor of the downtown Criminal Justice Center. I see DDA Dan Akemon chatting with Gargiulo’s defense attorney Dale Rubin. DDA Akemon is in trial across the hall in Dept. 106 on the Ka Pasasouk case. After Rubin heads into Dept. 108, I say hello to DDA Akemon. While we are chatting, Judge Ohta comes out of a little utility room at the end of the hall. A few minutes later, Mr. Rubin comes out of Dept. 108 and tells DDA Akemon that Judge Ohta indicated they could do the Gargiulo case right now. We quickly head into Dept. 108. Inside Dept. 108, Judge Ohta’s clerk addresses Mr. Rubin and asks how he’s doing. Mr. Rubin is a pleasant looking mustached man with white hair. DDA Akemon hands over a package of papers to Mr. Rubin. I note that there is a new deputy bailiff in Dept. 108. Judge Ohta’s regular court reporter is at her desk. She’s very attractive and has long dark hair. The clerk and Dale Rubin have a brief conversation about the calendar in this case. Judge Ohta was in the courtroom out of his robes for a moment. He informed his bailiff that Gargiulo is a “special handle.” While we wait for the bailiff to get Gargiulo to this floor, DDA Garrett Dameron arrives. Gargiulo is brought out. He looks pretty much the same as the last time I saw him. He is still completely bald and clean shaven. On the record in the Gargiulo case. The parties state their appearances. The issue where the case stands is discussed. Judge Gordon had issues with the prior counsel representation. The original counsel [Charles Lindner] was removed. Dale Rubin tells the court that technically, he’s still second chair. Judge Gordon asked Rubin to submit a proposal. Under memorandum, because of problems with the funding [of the defense case], because it appears no services have been paid. There is also the issue of getting a second counsel assigned. Mr. Rubin is currently in trial in Compton. Rubin tells the court he will have his proposal to Judge Gordon by Tuesday or Wednesday of next week. After that there will probably be some meetings to hash things out. Judge Ohta asks if Rubin if he is going to remain second chair. Rubin states that’s up to Judge Gordon. Rubin suggests that this matter be continued. The set trial date of January 8 be set aside. There’s nothing that has been done on litigation. Rubin tells the court, “I came on the case in August, just as I was about to go to Chicago, when things broke loose. Judge Ohta asks for input from the people. The people’s position is obviously frustration that the case is not moving forward. It’s been seven years since arrest and still pending trial. The people remain ready for trial. They are hopeful to get to trial. There is a pending prosecution in Chicago, waiting for this case to conclude. The people recommend they return in two to three weeks to get a status on counsel. Judge Ohta asks about what the case will be set at on December 15. He brings up the general time waiver that Gargiulo used to have. Judge Ohta is informed that Gargiulo gave up his general time waiver. Rubin suggests they set the court calendar at zero of 90 on December 15. It’s accepted. Judge Ohta vacates the January 8, 2016 trial date. Rubin states that by December 15, he will have a better understanding and have done a bit of investigating. Gargiulo waives his right to a speedy trial. DDA Akemon brings up one housekeeping station. The prosecution has turned over more discovery pages. 30,229 to 30,880 to defense of the murder book. The pages were signed for. And that’s it until December 15. 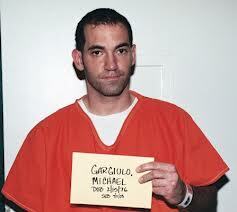 Complete Gargiulo Case Coverage HERE.